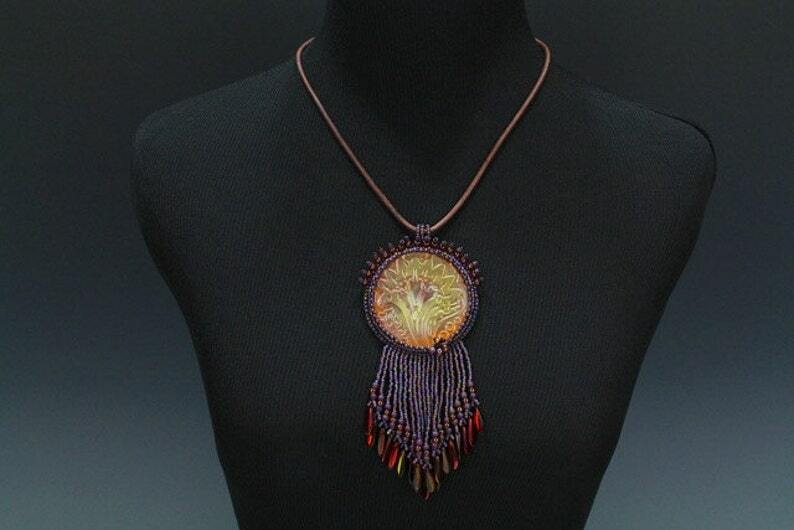 This beautiful stamped copper piece has been encircled with tiny Japanese seed beads in matte shades of amber and soft purple and backed with Maroon Ultra Suede. Each seed bead has been hand sewn in place. A draping fringe added to the bottom with radiant daggers of amber and red give this piece a spark. Pendant is suspended on a leather cord with a copper hook and eye clasp. Total length of necklace is 19 1/2"